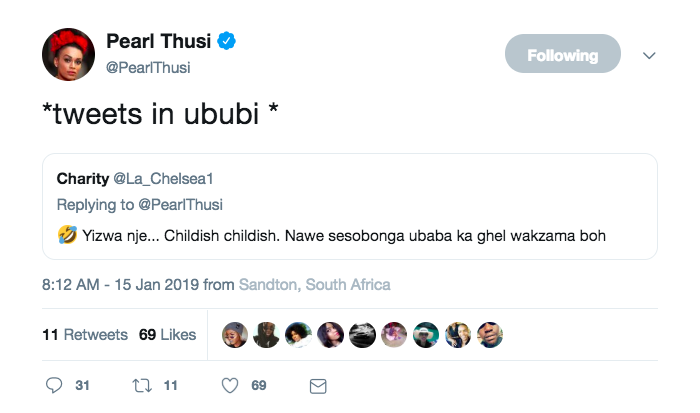 Just in case you haven’t been on social media, the #10yearchallenge (where people share picture comparisons from 2008 to 2018) has been trending for a few days. 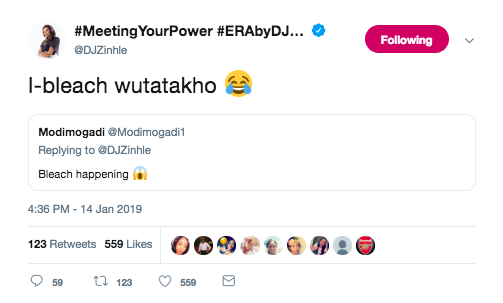 Some of our favourite ZAlebs have decided to join in on the fun by traveling ten years down memory lane with us. 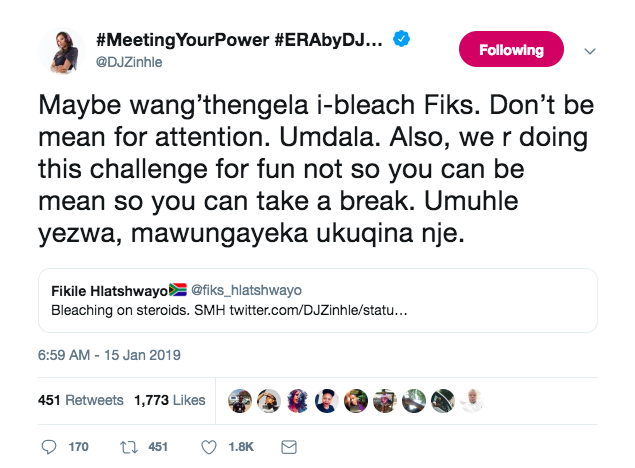 DJ Zinhle is amongst some of these celebrities that participated in this fun challenge, and, like many of us, she looked different because of... well... growth, right? 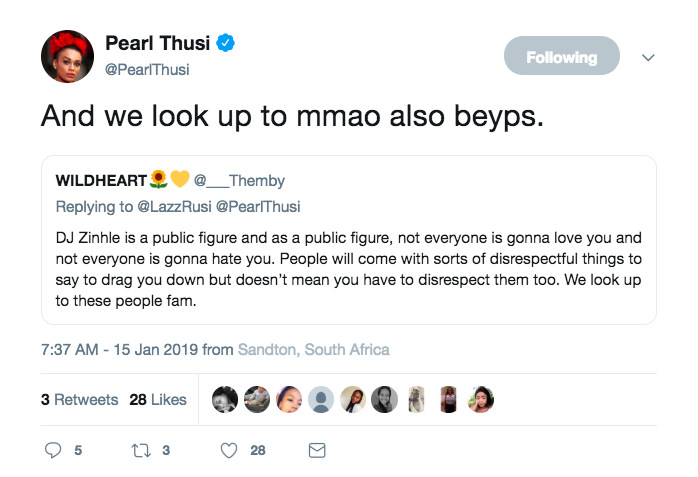 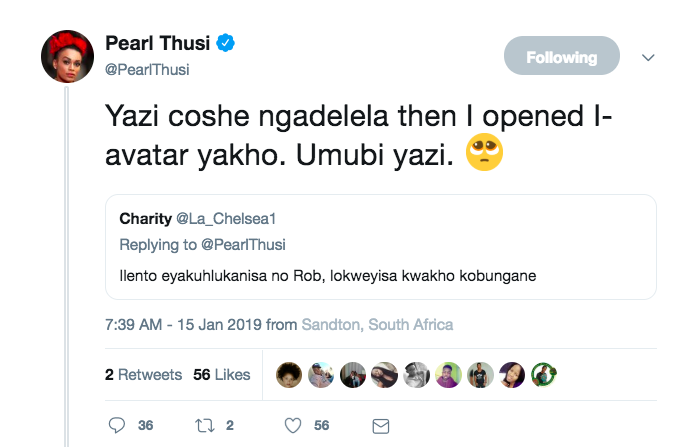 Responding to the post, the DJ’s celebrity best friend, Pearl Thusi, said she had glowed up. 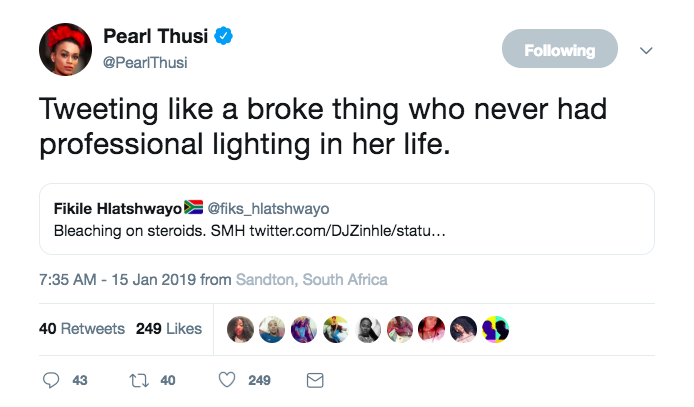 However, a troll on Twitter claimed that Zinhle had bleached her skin because her shade in the two images looks too different. 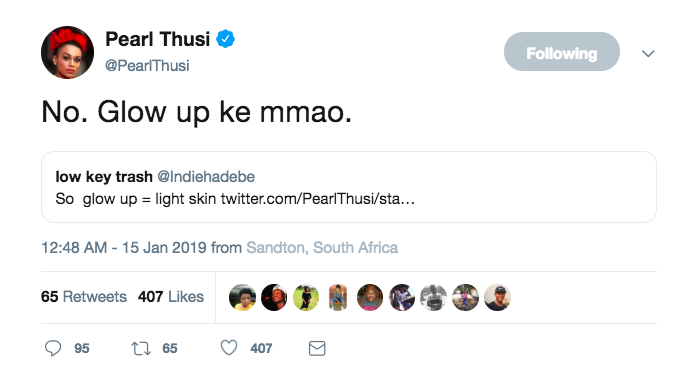 The trolls' response led to Pearl coming to her best friend's defence.